A red male panda has arrived and been welcomed at a zoo near Andover as part of a breeding programme. The red panda, three-years-old, arrived at Marwell Zoo on March 7th from Gaia Zoo in the Netherlands. The beautiful panda, named Peter, has joined Mei Mei in the new enclosure. Marwell Zoo keeper, Carrie Arnold, said: “Peter has settled in really well to his new home with Mei Mei. They don’t seem fazed by one another and Peter has done a lot of relaxing and snoozing, which is what we’d expected. 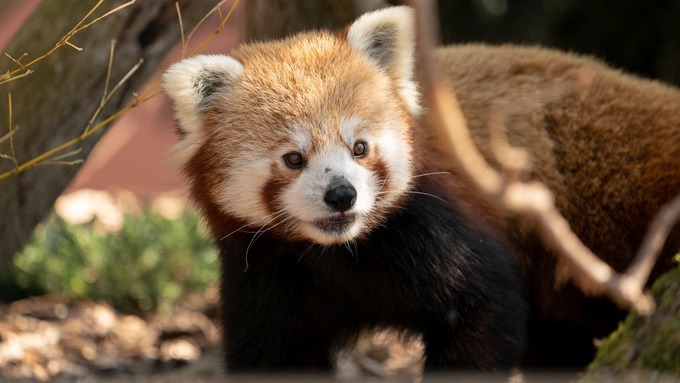 “Red panda breed once per year between January and mid-March, so we’re not anticipating any panda cubs soon, but we’re obviously hopeful for the future. Red pandas are endangered and can be found in Nepal, India and Bhutan as well as China and Myanmar. To give Marwell Zoo visitors the best chance to see the pair the new home also has multi-level viewing windows as well as climbing structures for the pandas to pass people overhead.